One example is a recent blockbuster study which found that a nutrient called curcumin, which is an active compound in turmeric and the reason the spice is yellow, may be able to protect you from disease by regulating epigenetic expression. The fast-growing field of epigenetics deals with the many factors that can affect your DNA. These factors can determine whether a specific gene, or cluster of genes, is switched on or off — and therefore whether disease develops or health is protected and promoted. Certain genes or gene clusters can indicate a genetic predisposition for developing conditions, such as cancer, Alzheimer’s disease, and other ailments. But in order for you to actually develop those diseases, the genes involved must be “switched on” and express themselves. Fortunately, when you introduce positive epigenetic influencers, including certain foods and phytochemicals such as curcumin, you may be able to ward off disease and enhance your overall health and wellness. Indeed, the overall way you live your life — from the food you eat, to the air you breathe, to the emotions you cultivate — all influence genetic expression. Lifestyle factors function as epigenetic influencers, both positive and negative. We all face a spectrum of negative epigenetic influencers daily, such as nutritional deficiencies, hormonal imbalances, toxins, pollution, and recurring stress. These negative epigenetic influencers can encourage diseases to flourish, which is why it’s so crucial to understand and take advantage of protective agents. And one of these is the curcumin found in turmeric. In a groundbreaking 2015 review published in Current Pharmacology Reports, researchers presented a compelling argument for using curcumin, the active ingredient in turmeric (which they call the “King of Spices”) to hack your genetic code for the better. It turns out that curcumin’s positive impact on gene expression appears able to help prevent and treat multiple kinds of cancer, as well as a variety of age-related diseases. One of the primary ways it does this is by influencing a process called methylation. In simple terms, methylation occurs when a single carbon and three hydrogen atoms — collectively referred to as a methyl group — link up with a molecule. One way to think of methylation is like an on/off switch that controls how your genes express themselves. Scientists have determined that methylation contributes to the progression of a variety of diseases, including prostate, colon, and lung cancer, as well as diabetes, neurocognitive diseases, autoimmune disorders, and inflammatory disorders. Recent research has indicated that the curcumin in turmeric can “turn off” the genes that could lead to the development of those destructive conditions — in other words, it may be able to help your body keep itself healthy and disease free, even when it comes to hereditary conditions. When professor Bharat B. Aggarwal, Ph.D, a biochemist at the MD Anderson Cancer Center, began researching turmeric, there were, in total, less than 50 published scientific studies on the healing potential of spices. Dr. Aggarwal grew up in India, where turmeric has been used for centuries to treat ailments ranging from broken bones to sore throats, as well as being used extensively in food. Turmeric’s role as a significant anti-inflammatory agent in Ayurvedic medicine led him to devise pioneering research studies to explore how the curcumin in turmeric might block anti-inflammatory pathways. Since Aggarwal’s initial study, more than 1,500 papers on curcumin have been published, examining its potential to treat conditions ranging from cancer to psoriasis, arthritis to diabetes, and Alzheimer’s to heart disease. Adding turmeric powder or fresh turmeric root to multiple things you eat throughout the day, such as sautéed veggies, curry dishes, smoothies, and “golden milk”, could be a great way to take advantage of the health benefits of curcumin. The challenge is that turmeric is only 2-5% curcumin, and the bioavailability of curcumin is low – meaning our bodies aren’t able to absorb and use it very efficiently. But there are several things you can do to boost the bioavailability of the curcumin you eat. Consuming turmeric in its whole food form (fresh or dried as a powder) can enhance the bioavailability of curcumin 7 to 8 times. Adding black pepper has been found to boost curcumin’s bioavailability by 2,000%. When consumed with fat, curcumin is able to bypass the liver and be directly absorbed into the lymphatic system. Consuming turmeric appears to be beneficial for maintaining wellness and avoiding some diseases. But how much do you need? The average Indian eats approximately a teaspoon of turmeric per day. Many researchers believe this could be one of the reasons that, compared to the United States and Europe, India has dramatically lower rates of death from Alzheimer’s and cancer. But turmeric is a strong-flavored spice, and eating a teaspoon of it per day can feel daunting. For this reason, many people have started taking curcumin supplements. But it’s important to keep in mind that not all studies use the exact same curcumin formulations. 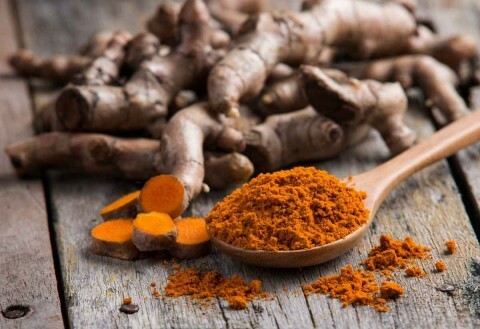 One distinction that’s not often considered is the question of whether a study used curcumin exclusively or a formula that included the other components of the turmeric root. The words “turmeric” and “curcumin” are sometimes used interchangeably, as if they refer to the exact same thing. But curcumin is not the only compound turmeric contains that has profound medicinal benefits. In fact, studies suggest that other compounds in turmeric could help regulate epigenetic factors as well. Many researchers now believe that individuals seeking to use curcumin to prevent or treat health problems may want to choose a full-spectrum curcumin supplement that contains the components of the raw turmeric root that are typically removed during the curcumin extraction process. It appears that the whole turmeric root’s natural components work together synergistically, and when they’re all present in a supplement, its bioavailability may be dramatically enhanced. Why aren’t more people using curcumin? Given curcumin’s potent effects on a wide range of conditions, why aren’t more people using this remarkable natural treatment to help them address their health problems? One reason might be the cost, though perhaps not in the way you might be thinking. In addition to being incredibly effective, curcumin is quite affordable. But doctors have been slow to embrace this powerful medicinal plant substance. According to Dr. Aggarwal, some doctors simply struggle to believe that curcumin can perform as well as (or better than!) drugs that cost $45,000 to $50,000 per dose. He also predicts that pharmaceutical companies will be the biggest impediment to the widespread use of curcumin since they won’t be able to profit from it in the way they profit from costly treatments like chemotherapy. Curcumin may not be healthy for pharmaceutical companies’ profit margins, but consuming turmeric, and/or incorporating a high-quality curcumin supplement into your wellness regimen, may certainly benefit your health.